Georgia Oboh (left) and Jordan Thompson represented Nigeria in the golf event of the Argentina 2018 Youth Olympic Games. 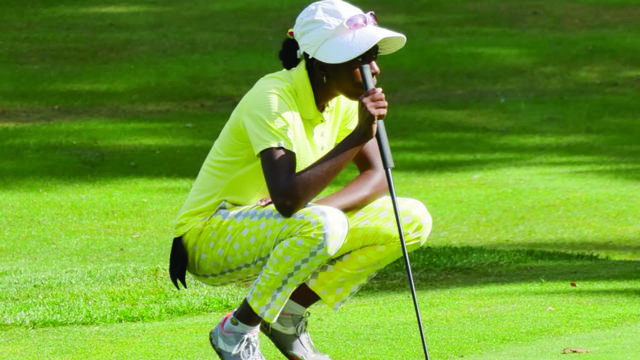 Nigeria’s female representative in the golf event of the Argentina 2018 Youth Olympic Games, Georgia Oboh ended her campaign at the global fiesta tied on 22nd position with South Africa, China, Denmark, and Germany, who are among the top 26 nations in the sport. 32 countries participated in the event. Nigeria presented two players, Oboh and Jordan Thompson (boys) at the Youth Olympics, which ended yesterday in Buenos Aires, Argentina. Oboh’s result means that more Nigerian golfers now have the opportunity to enter for the golf event of the next Youth Olympic Games 2022 in Senegal. But since the competition is for players under 18 years, Oboh will not contest in the games, as she would be above that age then. Done with the competition in Argentina, Oboh has now shifted her attention to the Ladies European Tour in which she wants to make history as the youngest golfer from the African continent to earn playing privileges in 2019 and beyond. Oboh’s father, Godfrey, told The Guardian yesterday that she has entered for the qualifying matches in the Ladies European Tour (LET) 2019, which is in three phases. He said, “The first of the three qualifying schools will hold in Marrakech Morocco from November 1 to 4, 2018, while the final stage of the LET qualifying school will be from December 16 to 20 at the Lalla Aicha Ladies European Tour qualifying School. He added that Georgia Oboh is now actively seeking corporate organisations to partner with as brand ambassador to help them advertise their product and services. “Georgia will like to take this opportunity to thank all her family, coaches, friends, the press, supporters and all those who have been with her throughout her amateur career and looks forward to the next chapter of her career,” he added.